Cardiff will be rocking on Saturday night as the Anthony Joshua Roadshow returns to the Principality. Last time out, he stopped Carlos Takam in the 10th round with all three judges having him well ahead on their cards. One, Ron McNair, gave him a perfect score of 90 – 80 while others had 89 – 81; it was a routine win. 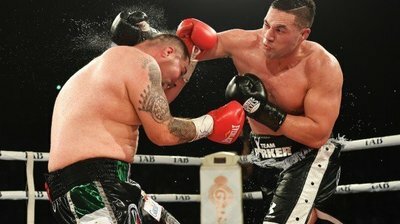 Joseph Parker doesn’t intend to be so accommodating. The pair are unbeaten – Joshua in 20 – 0, Parker 24 – 0 – so something must give. Hertfordshire born Joshua is favourite with home advantage and a stronger track record counting in his favour. Comparing the two based on their fights leaves the uncompromising opinion that Joshua has ‘more of everything’ in every key department. That’s not to say the New Zealander will be a pushover; just that Joshua is the better fighter on paper. Parker didn’t get to be world champion through only beating schmucks. Okay, it’s the WBO and he hasn’t fought anyone of note. 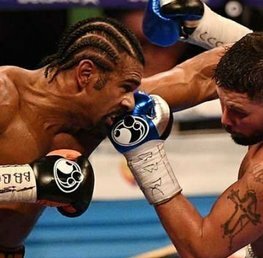 He too beat Takam, winning a unanimous decision after 12 rounds in 2016 but on British shores, he gained notoriety for his last bout against a Fighting Fury – this time Hughie – and all the drama which comes along with that. For now, that’s forgotten. 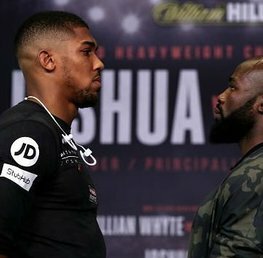 Joshua and Parker go head-to-head in the first heavyweight unification bout hosted in Britain with Deontay Wilder awaiting the winner. The division will be unified in 2018. The question is which one of them will face the WBC champion? Boxing needed Anthony Joshua. If he hadn’t existed, the sport had to invent him. Floyd Mayweather’s flashiness had long worn thin. The glitzy bravado tiresome and reduced to clowning around in TV-spun battles with MMA fighters. Boxing needed a personable fighter as the frontman. Uncontroversial, polite; capable of winning with magnanimity. Anthony Joshua is very much the man of this boxing time, destined to give the sport some credibility outside of the ring. He’s not doing too bad a job inside either. 20 wins, all stoppages with the name of Wladimir Klitschko giving his record a decent look. That fight still resonates; knocked down, AJ got back up and deservedly won. An experienced fighter taught him lessons in the ring that he learned from and now, the Watford-born fighter is ready to move to the higher level. While the future seems bright for Joshua, it doesn’t mean he can take Parker lightly. Everyone bar the Parker camp expects him to win but turning up won’t be enough. He’s got to take the fight to the New Zealander but be wary of his opponent’s big hits. Parker is in his prime and likely to prove more challenging than Takam was. The Cameroonian boxer was second best in every department when he faced Joshua, an about face from when frustrated Parker twelve months earlier. That is more telling than any record or statistic about reach or weight. The underdog, with a track record of being criticised for his performances. Last time out against Hughie Fury, he held back for the opening six rounds, letting his opponent tire himself out. Fury didn’t disappoint, and Parker capitalised in the second half of the fight. Stamina isn’t an issue for the New Zealander; four of his last six bouts went the distance. While he’s a big puncher, Parker can be stifled. With Joshua equally capable of ending the bout early, will the Maori chieftain be forced onto the back foot? The bout against Takam offers a good reason why Parker will struggle. He capitalised on his opponent’s errors but could quite easily have seen scorecards go the other way. That’s not a good sign. It was the first in a trilogy of fights where Parker failed to do himself justice but despite that, won. Fury was the third, following on from victory over Andy Ruiz, Jr. Another journeyman, another unconvincing win. But winning is all so the criticism of Parker must be tempered. He did what he had to do however dull the bouts might have seemed. This time the pressure is on Joshua so Parker can find a way to beat the Briton and stick to it. Joshua: 1/5 – Visit Betfair! Draw: 40/1 – Visit Paddy Power! Parker: 9/2 – Visit Coral! 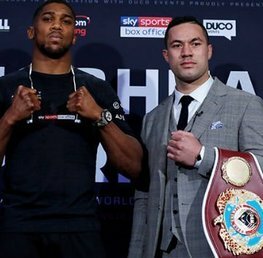 Anthony Joshua is clear favourite for Saturday’s bout and looks to possess too much firepower for the so far unbeaten Parker. 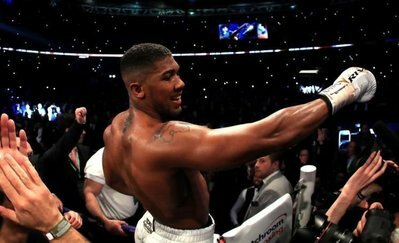 Britain is edging toward its’ first unified heavyweight champion with four titles, but Joshua cannot take his task lightly. Nonetheless, it will be a surprise if this bout goes the distance. It can be called an upset if Parker wins, even leaving aside national pride. Joshua has yet to require a decision, beating more experienced and better fighters along the way, albeit much older. Parker, with no-one of note under his belt, is taking a big step up in class for this bout and that may be too much for the 26-year-old right now. Deontay Wilder will be looking for the upset to happen, preferring to fight Parker. He’s going to be a disappointed man. Fight to end in rounds 7 – 9: 11/4 – Visit Paddy Power! Joshua to win by KO: 3/1 – Visit Betfair! Parker by decision: 16/1 – Visit Betfair! Joshua to win in round 8: 12/1 – Visit Coral! 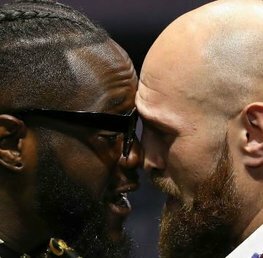 Deontay Wilder vs Tyson Fury: Can Briton Be Gypsy King Of The Ring?